That number represents an increase of 75 million during 2018, said CFO Luca Maestri. This is the first time Apple has disclosed its iPhone base, and Maestri promised that from now on data will be periodically updated. Apple's install base includes 1.4 billion units in all. The company didn't break out numbers for Macs, iPads, or the Apple Watch. Apple was already known to be heavily dependent on iPhone sales. In announcing December-quarter results, it revealed that overall revenue declined year-over-year from $88.3 billion to $84.3 billion, mostly because iPhone sales dropped from $61.1 billion to just under $52 billion. Earlier this month Cook warned about "lower than anticipated iPhone revenue, primarily in Greater China," saying it accounted for "all of our revenue shortfall to our guidance and for much more than our entire year-over-year revenue decline." 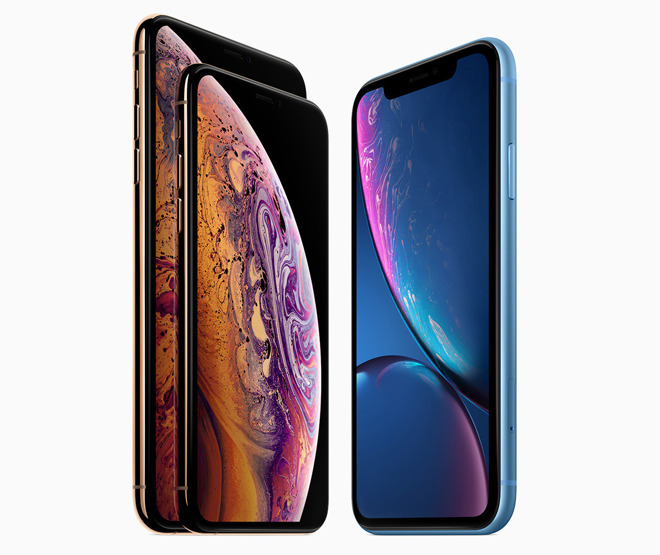 Factors affecting last quarter's iPhone sales reportedly included "foreign exchange headwinds," "economic weakness in some emerging markets," and even its discounted battery replacement program, which generated about 11 times more traffic than anticipated. They will release total active iPhone amount rather than quarterly sales count? That is actually a good thing, as analyst can estimate total deactivated iPhones(obviously much lower than newly activated), and then estimate the total iPhone sales for the quarter anyways. 900 million is a great figure for iPhone users. If people kept their phone for 4 years Apple can still sell 200 million or-so every year to upgraders. A terrible position to be in. 900 million is not to shabby. I would have guessed it to be around 950 M. A figure I would like to know is how many people with an Apple ID have more than one Apple device (any product) registered to that same ID. Do they publish records showing the yearly growth of registered users? How can analysts estimate deactivated devices beyond a WAG? I wonder how many of those 75 Million were switchers from Android? And how does the increase in users compare to the increase in users for Android? What are other 500 millions devices? It seems an exaggerated number. Certainly not all iPads. Out of 1.4 billion active devices, Apple has reported 900m+ iPhones and 100m Macs. Analysts estimate there are 50m active Apple Watches and 50m Apple TVs which leaves around 300m iPads and iPod Touches (which both run iOS). That gives a total of about 1.2 billion active iOS devices. Apple reported 782 million active iCloud users over 3 years ago and 885 million active iTunes/App Store users way back in Nov 2014. Asymco projected the latter figure would have passed 1 Billion active iTunes/App Store users by the start of 2015 and 1 Billion iCloud users by early 2017. And remember, a large proportion of those iTunes accounts are shared family accounts with the one credit card. In contrast Google reported only 1 Billion active Google Play Store users in Sept 2015 out of 1.4 Billion active Android devices. More recently Google reported 2 Billion active Android devices, so that means around 1.4b active Google Android users.